It’s Arbor Day, and time to think of all things outdoorsy. Nature names are a huge category, from classic florals to newer possibilities borrowed from birds and trees. It’s an equal opportunity trend, with boys names like Jasper, Talon, Forrest, and Blaze all ranking in the US Top 1000. 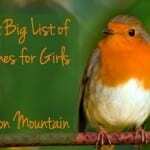 But there are definitely more nature names for girls in use – enough to come up with a Top 50 list! Of course, there are lots of names that could be considered nods to the natural world. Sylvia means woods, and Stella means star. But I’ve omitted those in favor of more obvious choices. I did, however, include Spanish language nouns used as girls’ given names in the US, of which there are more than you might guess. 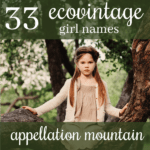 Read on for the 50 Most Popular Nature Names for Girls! 1. Lily (#27), Lilly (#124) – Lots of Lily names have found favor in recent years, and Lily is the undisputed queen of nature names for girls. 2. Autumn (#65) – Season name Autumn is the first of three to chart in the US Top 1000. The only season name that doesn’t get any love? Spring. 3. Violet (#69) – Another flower power possibility, with a vintage vibe. 4. Ruby (#93) – The first gemstone to make the list! 5. Jasmine (#103), Jazmine (#380), Jazmin (#384), Jasmin (#642), Yasmin (#817) – The nature name most likely to be respelled. 6. Brooke (#113) – Originally a surname name, but today more closely tied to the natural world – and the supermodel. 7. Jade (#126), Jayde (#983) – There’s also the Italian Giada, popularized by the celebrity chef – who named her daughter Jade. 8. 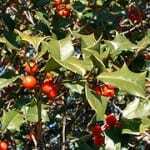 Ivy (#152) – Another green name, this one with ties to the winter holidays and that stylish ‘v’, just like Olivia and Ava. 9. Willow (#154) – A high-profile celebrity offspring name, plus names ending in ‘o’ are very on trend. Add in her ties to the natural world, and Willow is a triple threat. 10. Hazel (#157) – There were a few raised eyebrows when Julia Roberts gave this name to her daughter in 2004, but it proved to be a trend-setting choice. 11. Isla (#167) – The first Spanish language name on the list, Isla meaning island, but owes much of her success to the career of actress Isla Fisher. 12. Luna (#185) – Luna is a Harry Potter heroine, named for the Latin – and Spanish – word for moon. It’s been embraced by Spanish-speaking families, included high profile parents like Penelope Cruz and Javier Bardem. 13. Summer (#188) – A warm and sunny choice for a daughter, but not the most fashionable season name of the moment. 14. Daisy (#198) – Gentle Daisy is sometimes short for Margaret, but stands just fine on her own. 15. Rose (#224) – Classic Rose has been the hot middle name of recent years, and now and up-and-coming first name choice, too. 16. Iris (#253) – Another floral choice, more elegant than Daisy, more wearable than Begonia. A romantic Goo Goo Dolls hit song by the same name probably helped Iris return to favor in recent years. 17. Amber (#288) – Speaking of romance, the novel Forever Amber put this gorgeous golden color on the list of possibilities. It’s not quite a gemstone – amber is actually fossilized tree sap – but it is often used in jewelry. 18. Olive (#291) – The elaborate, Shakespearean Olivia has long ranked in the US Top Ten. Now her spare sister Olive is on the rise. 19. Gemma (#315) – The Italian word for gemstone, originally a term of endearment. Now a possibility for a daughter. 20. Sierra (#346) – From the Spanish word for a mountain range, as in the Sierra Nevadas. 21. June (#364) – Calendar girl names range from the quirky and obscure (Tuesday, January) to vintage names with an almost classic appeal. File June with the latter group. 22. Esmeralda (#392) – A literary name, from the Spanish word for emerald, and now a high profile Hollywood baby name, too, thanks to Eva Mendes and Ryan Gosling. 23. April (#423), Abril (#868) – Is this two names or one? The English and Spanish words for the fourth month of the year has had a good run as one of the earlier nature names for girls. Today it’s giving way to others on this list. 24. Rowan (#425) – Also popular for boys, Rowan is the first tree name to rank in the most popular nature names for girls. 25. Skye (#425), Sky (#885) – Heavenly Skye is one of the few nature names more popular when spelled differently than the dictionary version. If I’d included Skyler and all of the possible variants, this would certainly make the Top Ten. 26. Dahlia (#439) – Some nature names for girls are new. Others are vintage. Dahlia is definitely a gem from days gone by, and also the name of Bertie Wooster’s good-natured aunt in the P.G. Wodehouse stories. 27. Savanna (#441) – A savanna is a grassy plain. Savannah is a city in Georgia – and a Top 100 pick for girls in the US. The Georgia city has a completely separate origin. 28. Holly (#449) – Holly is more likely to be the mother than the daughter these days, but it remains a seasonal winter possibility. 29. Sage (#457), Saige (#646) – Sage hits more than one note. 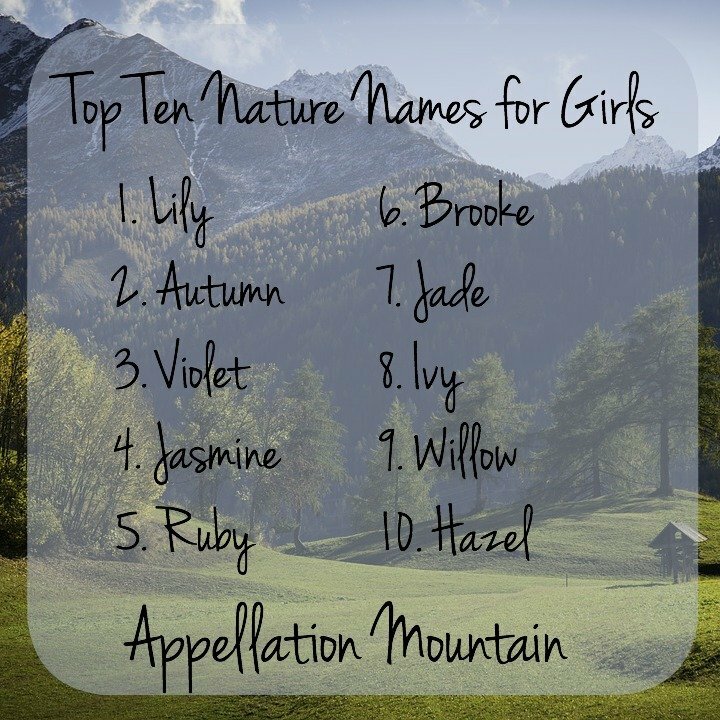 It’s a successor to Paige (hence the respelling), a name meaning wise, and also a nature name for girls. Sage is the most popular herbal name on this list. 30. Crystal (#463), Krystal (#855) – Crystal’s heyday was the 1980s, boosted by Dynasty and all of those Christina/Kristen names in favor. 31. Aspen (#487) – An up-and-coming tree name and place name, thanks to the ski resort. 32. Raven (#513) – Along with Robin, an early avian name to catch on for girls. 33. Nova (#528) – Part-Ava, part-Stella, always new. 34. Rosemary (#533) – Not far behind Sage comes another pick from the spice rack: vintage Rosemary. 35. Ember (#558) – Ember owes some of her success to Amber, but also to our affection for Em- names and her ties to the natural world. 36. River (#587) – Popular for boys, but also heard for girls, possibly thanks to characters on Doctor Who and Firefly. 37. Juniper (#646) – A long-time favorite of name fans, Juniper is slowly catching on. 38. Perla (#667) – The Spanish word for pearl, and a pretty possibility for a daughter. 39. Winter (#673), Wynter (#945) – The coolest season name of the moment? Winter, hands down. Both the original and the respelled Wynter are rising rapidly. 40. Mae (#674) – Maybe May is the month’s name, but Mae is by far the more popular spelling as a given name. 41. Pearl (#676) – Another gemstone name with a vintage appeal. 42. Diamond (#712) – If Pearl feels modest and quiet, Diamond is her opposite in the jewelry box – a flashy, dramatic possibility. 43. Wren (#806) – Borrowed-from-the-birds Wren first entered the US Top 1000 in 2013. 44. Heather (#836) – Heather was huge in the 1970s and 80s, and has been fading since. 45. Ivory (#865) – It’s a curious thing, to name your daughter after an elephant’s tusk. But Ivory has a history of use in ornamental carvings tracing back through the millennia. If Amber works, so does Ivory. 46. Jewel (#898) – Another noun name with ties to the natural world, boosted by the Alaska-born singer. 47. Meadow (#968) – Tony Soprano’s daughter answered to this surprisingly peaceful nature name. Since the show has left the air, Meadow is fading. 48. Magnolia (#977) – Another vintage revival, with oodles of potential nicknames, too! 50. Sunny (#1170) – We’re ending our list of most popular nature names for girls with such a happy name – the summery Sunny! 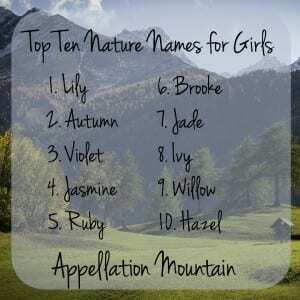 What are your favorite nature names for girls? 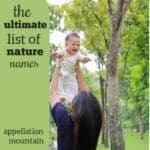 Is there a particular type of nature name you like best? This list shocked me several times: Jasmine is so high! Magnolia is so low! People are still naming their daughters Crystal?! And IVORY?! Very useful and interesting post, Abby! Thanks for putting it together. I know! I had the EXACT same reaction when I was tallying up the numbers. Agree on Crystal. Every Crystal I know is around my age or a little younger. A baby Crystal? Never heard it … but the numbers are there! I voted for the trees, because I love Aspen, Rowan, and Willow so much, but the birds are not far behind, I love Raven, Robin and Wren.